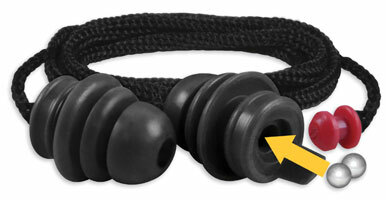 EarPlugz-PC come with a reusable, removable “pop cord” and are available in sizes small through large. With proper care, these plugs can be expected to last six to 12 months. Color choices are orange and black, and a metal-detectable option (as required by the food industry) is available.